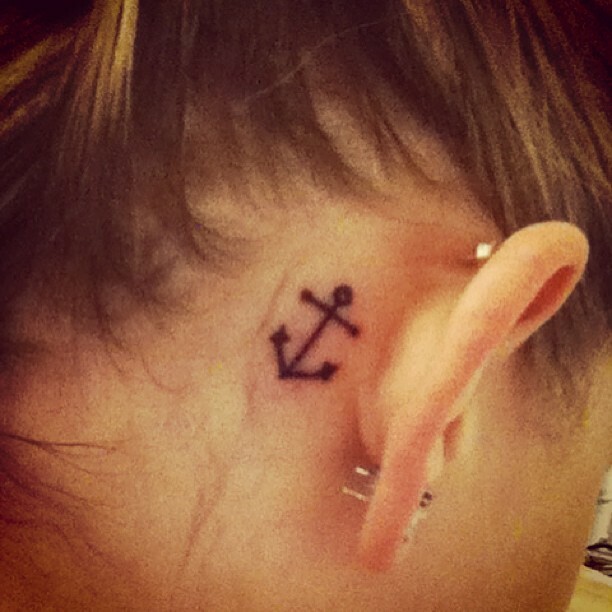 For marine, the anchor is usually a symbol of the calm sea during navigation. 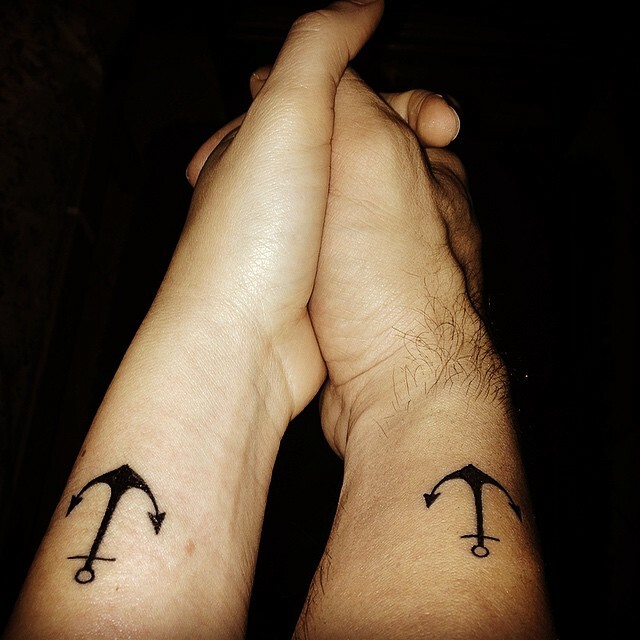 Anchors in common tend to have a nuance of security, firmness, and storm protection, Sometimes, depending on the context and other symbols in the tattoo; it also a sign that a relationship needs a firmer foundation. 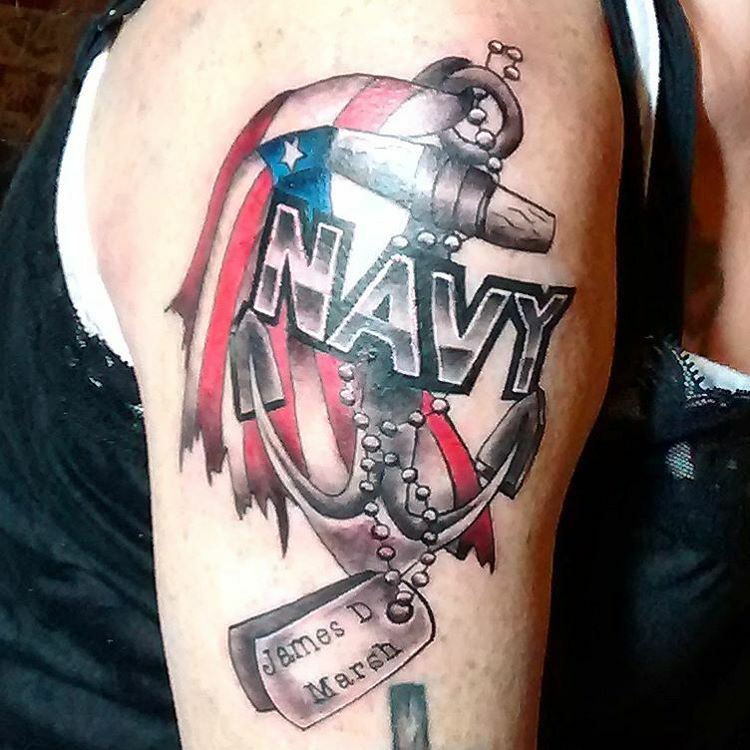 The anchor is a stereotype par excellence, and it ‘s hard to see a comic book, a movie or image that is intended to describe quickly a sailor where he is not a character wearing a tattoo of an anchor on her arm or forearm. 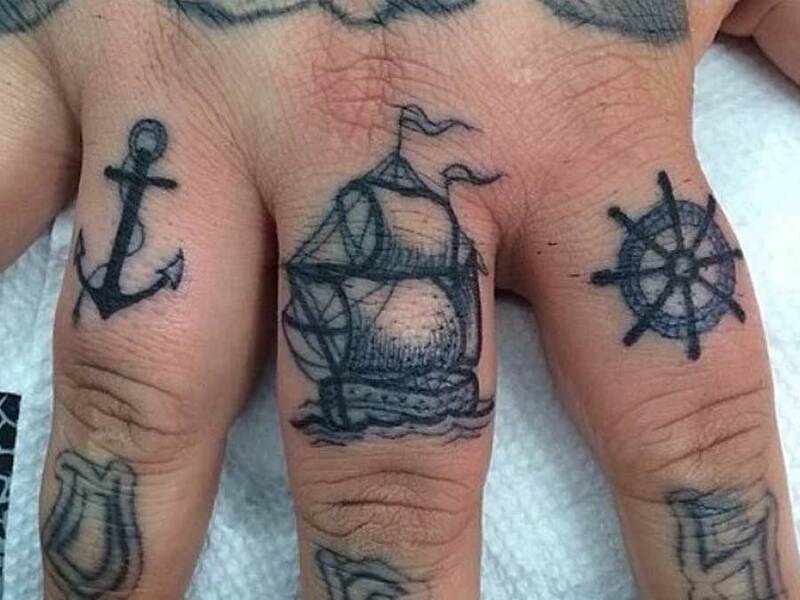 Popeye the Sailor is probably the most famous character who fits perfectly in this description. 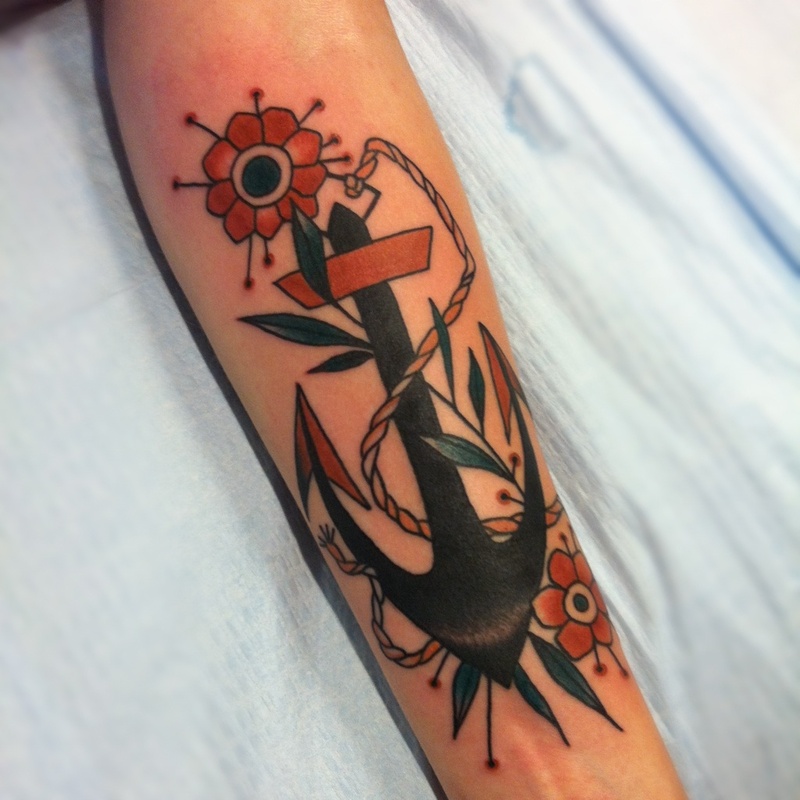 Symbolically meaning in popular culture has always been linked to the profession of the first who wore a tattoo of an anchor: the sailors. 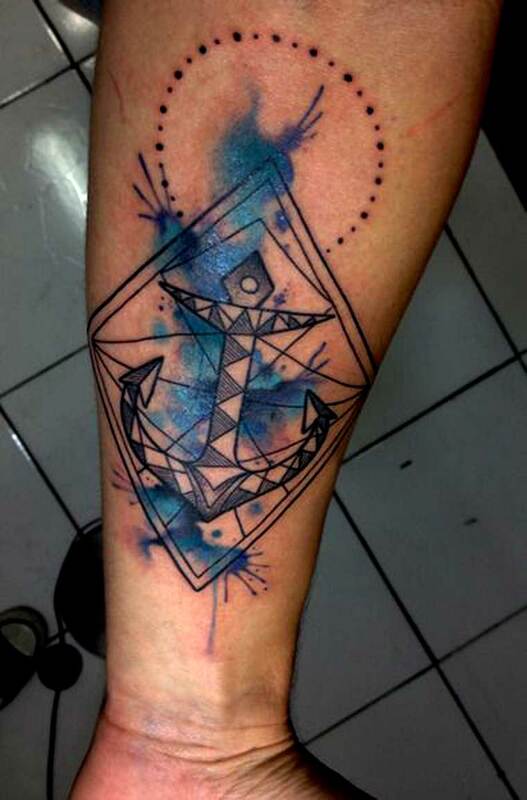 The occupation of the sailor, because of its hardness and danger have always been plagued by superstitions, legends and all kinds of protective symbols, amulets of good fortune or distinctions of experience and seniority on board. 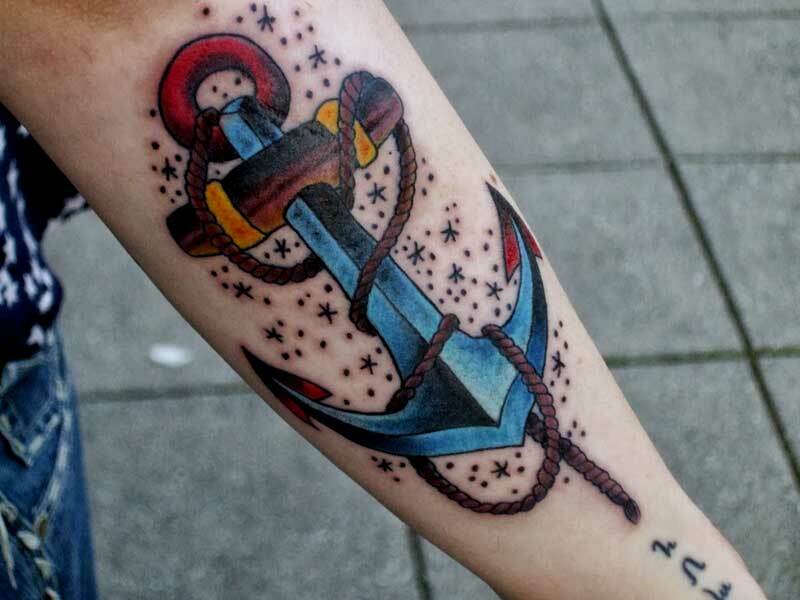 Therefore (and obviously) the anchor is a favorite tattoo individuals making related to the sea or the marine race (masters, foremen) work and we can find tattooed on sailors from all over and across the world along with other symbols of the seafaring life as the nautical star or compass. 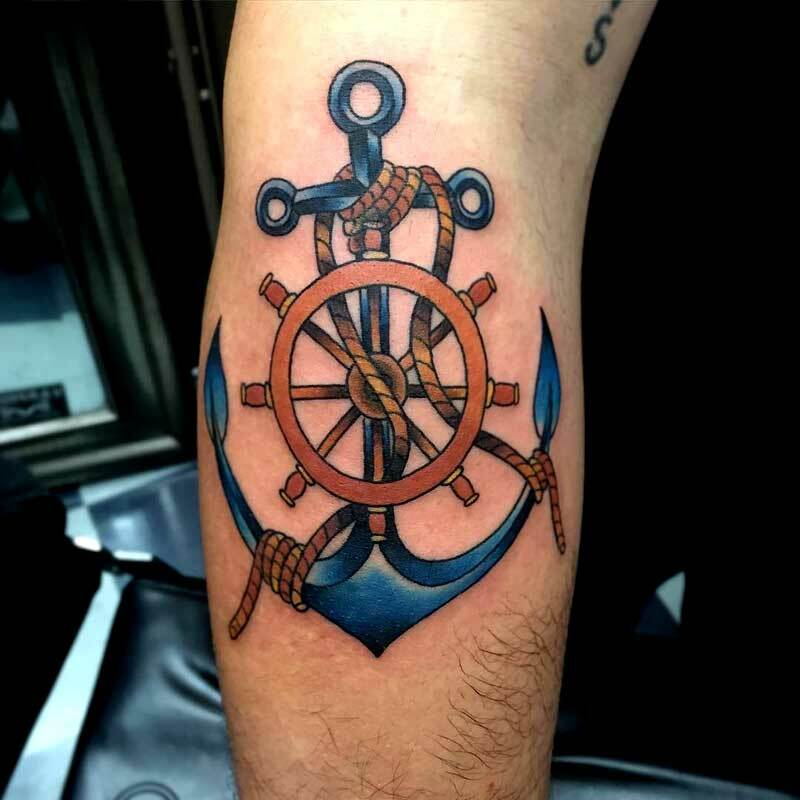 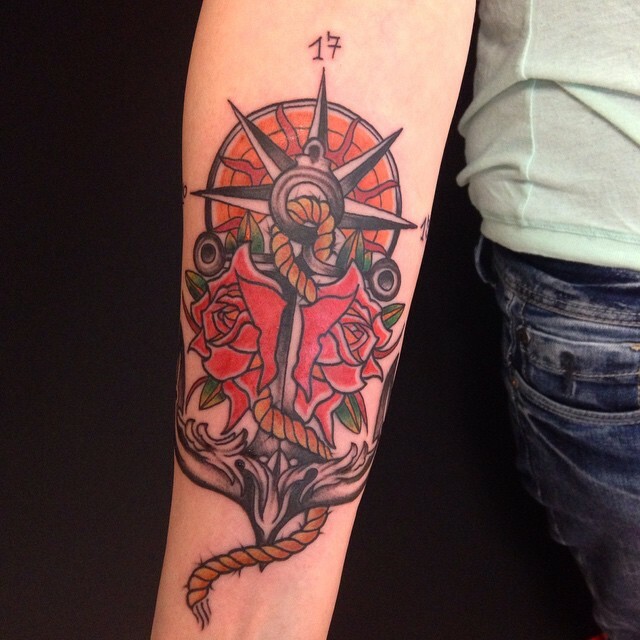 However, as with many other reasons for a tattoo, there are different interpretations when it comes to understanding the symbolic meaning of anchor, meanings that have been overlapping over time and it’s interesting to know. 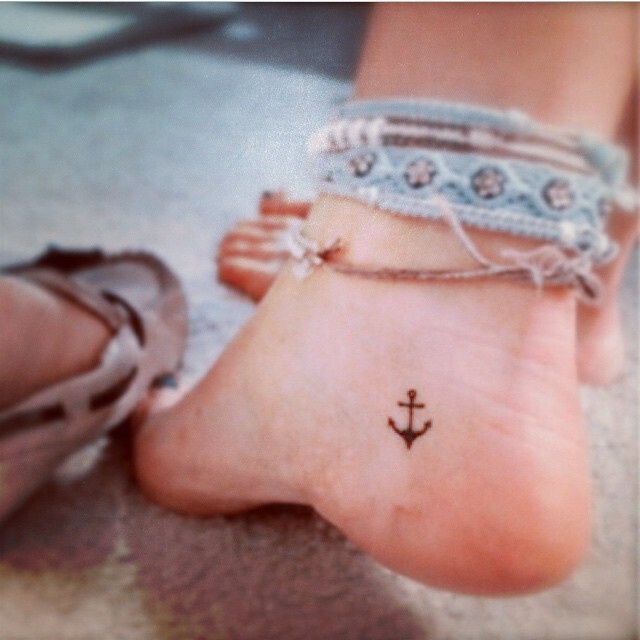 The anchor tattoo has much older roots that go back several millennia ago. 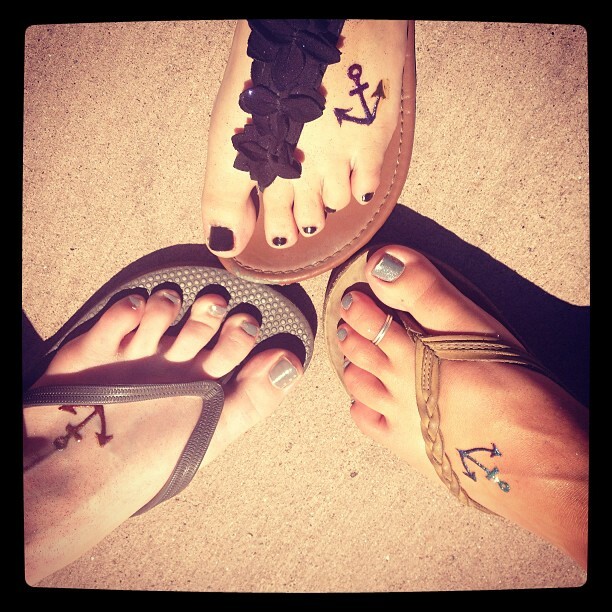 Even in antiquity the anchor (like fish) was a symbol that was used in the early Christian church. 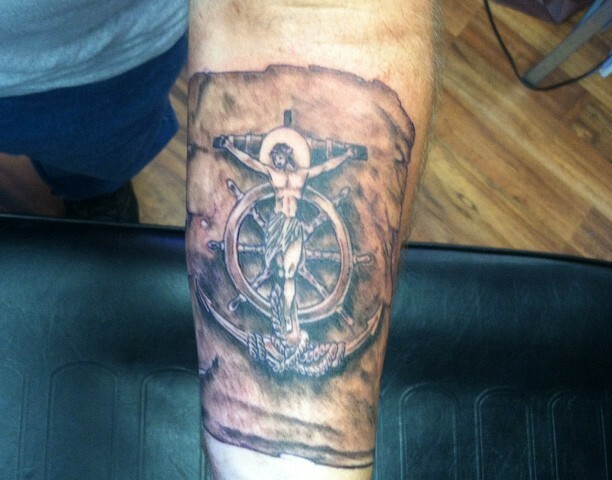 To anchor the early Christians had a symbolism of hope, strength (in faith), stability and harmony. 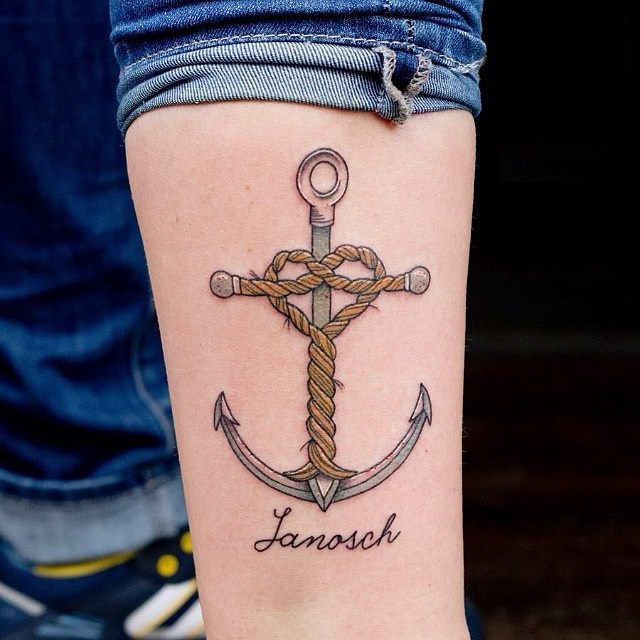 The early Christians used the symbol of the anchor as a hidden way of representing the cross of Christ as a symbol of the strength of their spiritual beliefs. 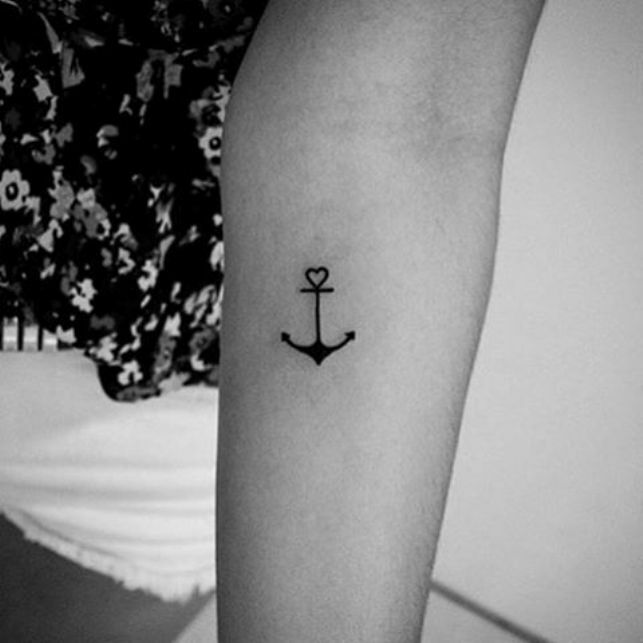 Sometimes the anchor is represented inverted, and it is easy to see that its shape keeps a certain resemblance to the Christian cross. 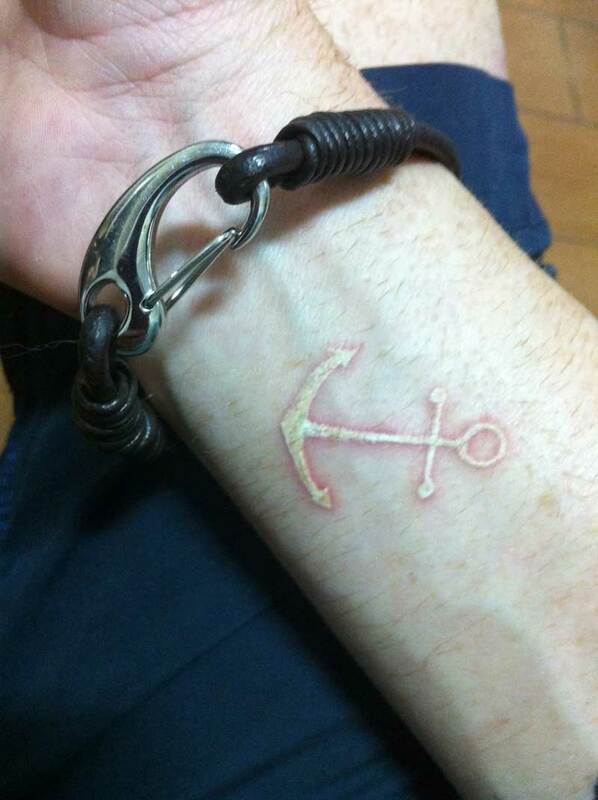 This symbolism has survived to this day, so the tattoo of an anchor still has a powerful performance as a symbol of firmness staff, in the same way that secures firmly to anchor a sailboat near the coast protecting against winds and currents that could cause it is lost or adrift crashed against the shore, the anchor tattoo speaks to stand firm against adversity and defend our ideals and beliefs firmly. 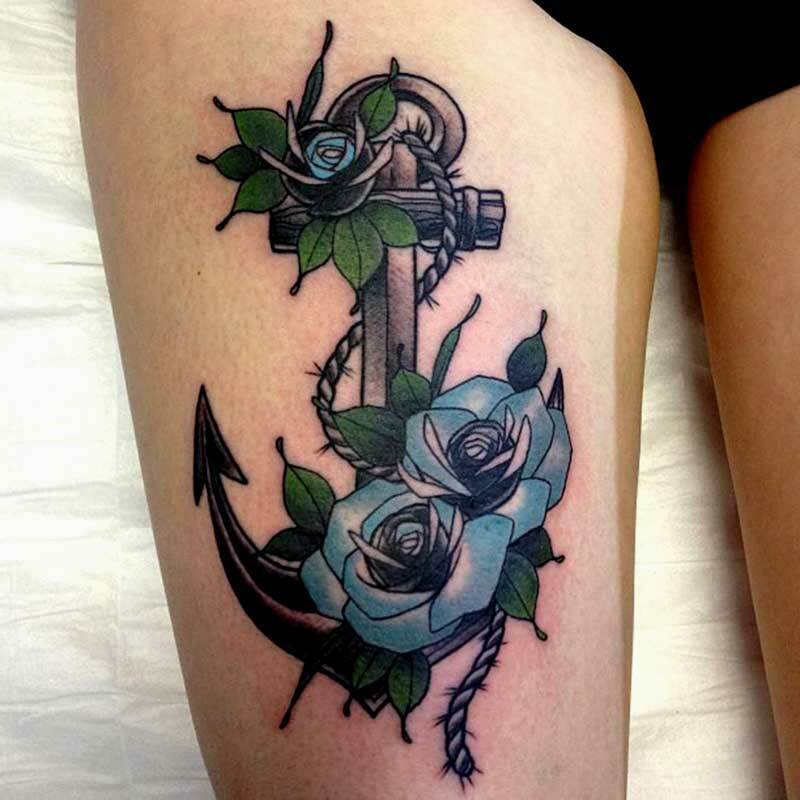 If we analyze the shape of an anchor we can find a simplified representation of a boat and mast, the boat being a symbol of the feminine principle and the mast a phallic symbol of the male principle. 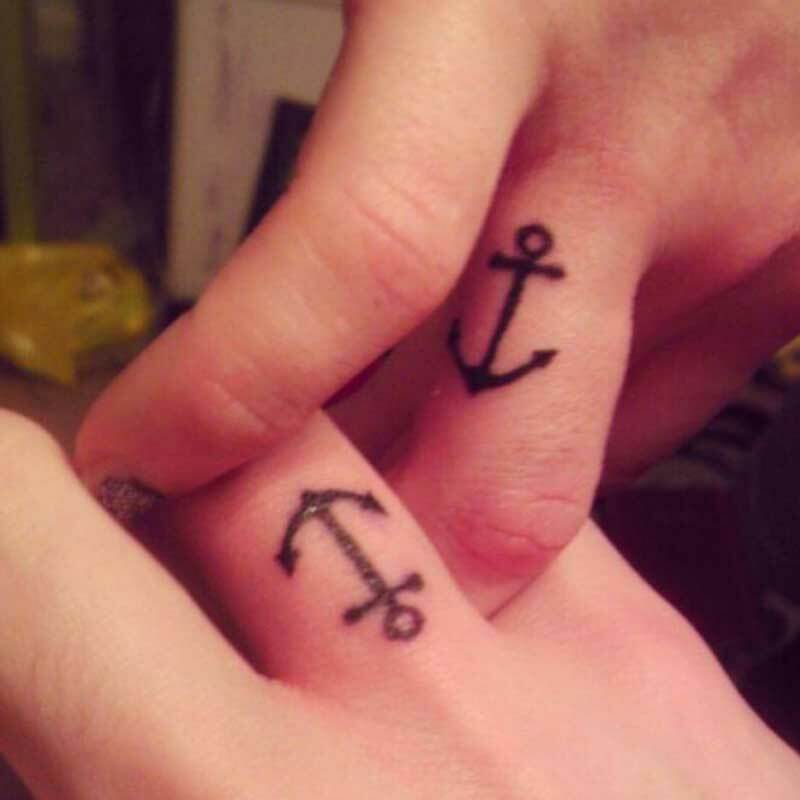 The ancient Egyptians used the same male-female symbolism. 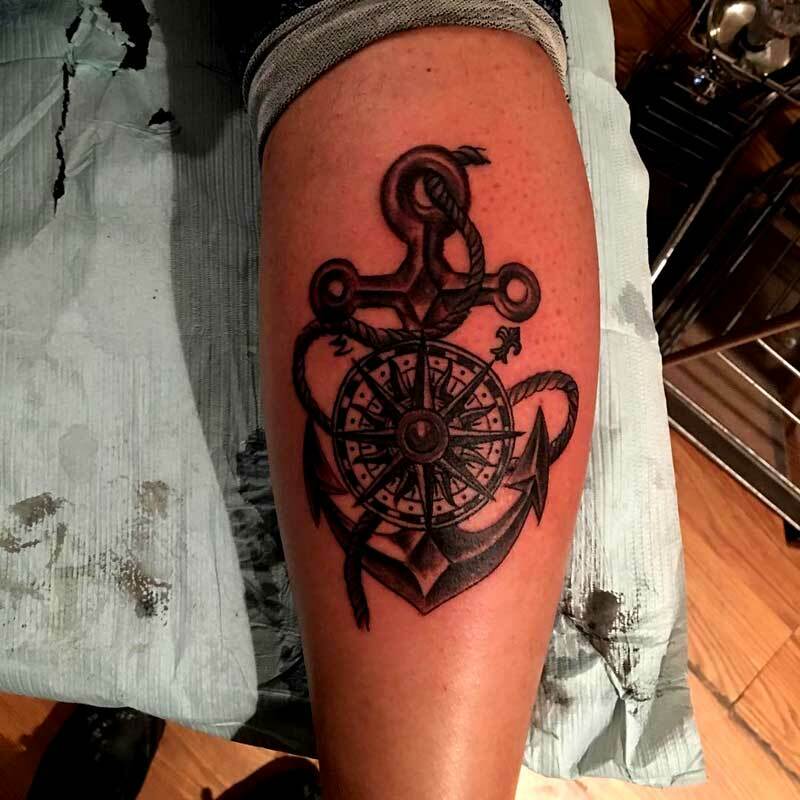 There are engravings and paintings with representations of the boat and mast where sometimes we can find a snake coiled in the mast of the ship (another symbol that emphasizes the male meaning the mast). 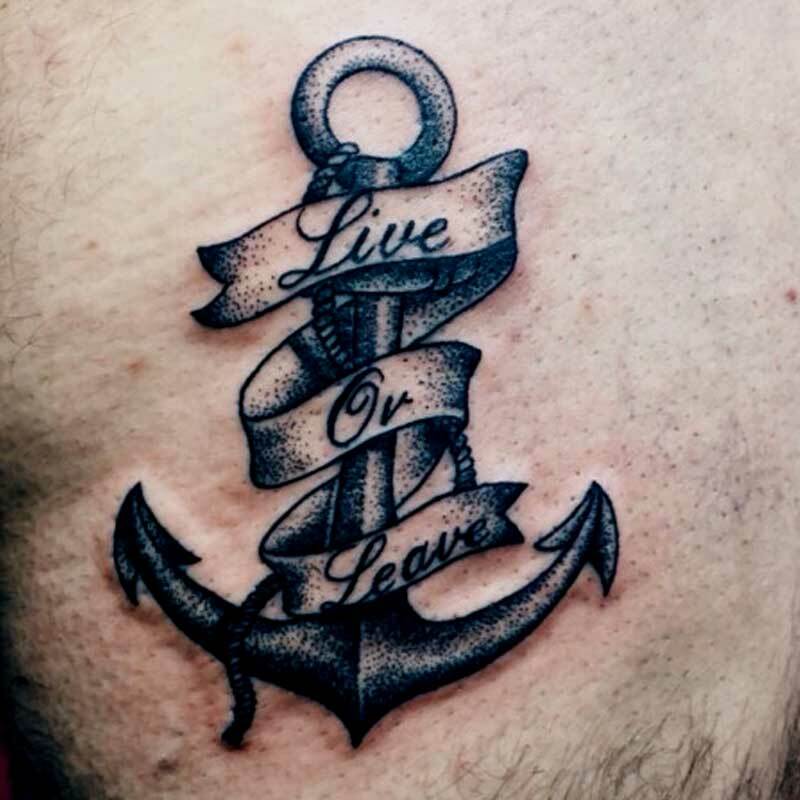 The tattoo was discovered to Western culture in 1769 by Banks, one of the explorers who traveled with Captain James Cook on his voyages across the Pacific Ocean. 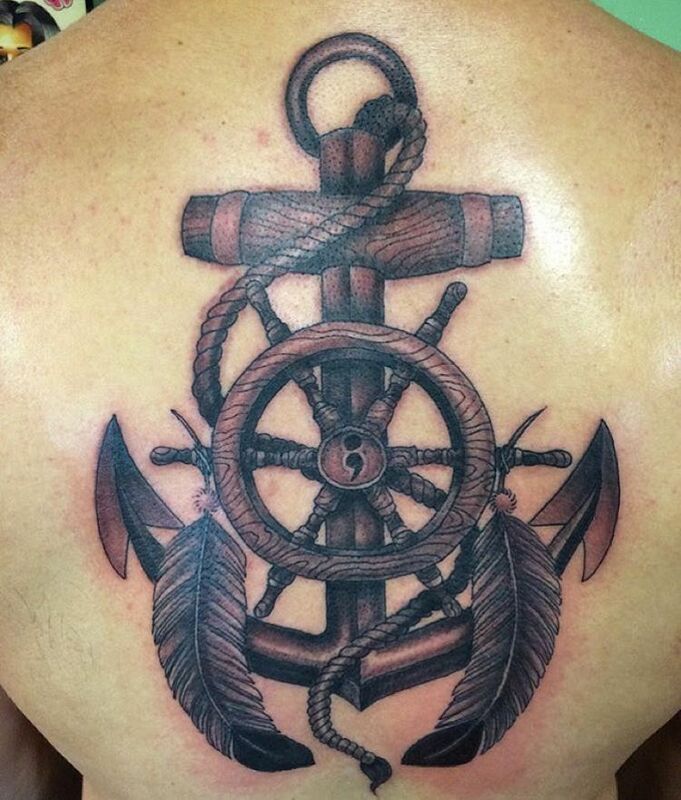 The crew of the expeditions of Cook found that the practice of tattooing was widespread among Pacific Islanders; these sailors quickly adopted as an own tattoo practice and learned to develop themselves while on board their ships. 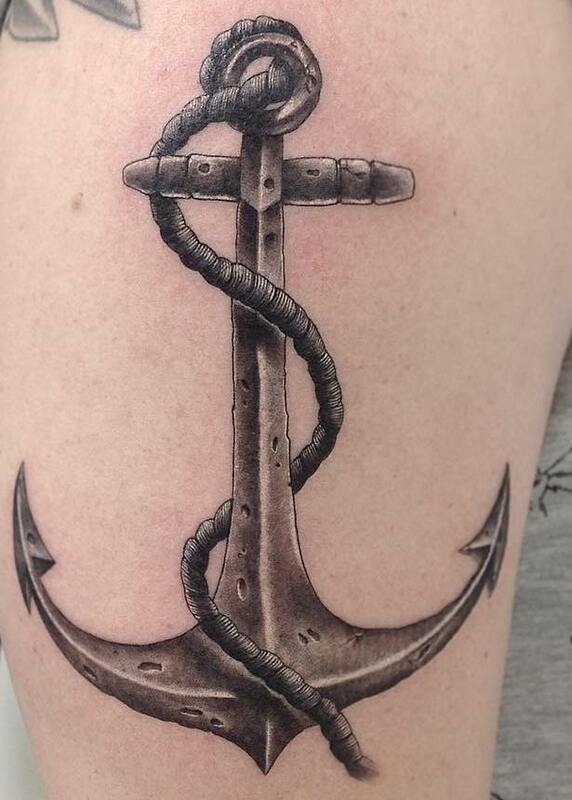 Logically, the anchors were one of the first symbols chosen for their tattoos; feel identified with their meanings, be a great rig within their daily work and an easily recognizable symbol of their profession. 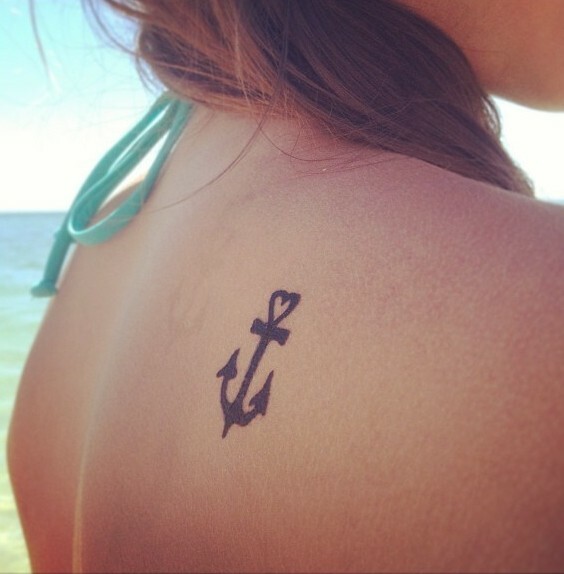 As with all tattoos, tattoo of an anchor have a different meaning for the person who wears it may have, may be the record that the sailor has been in the Atlantic Ocean. 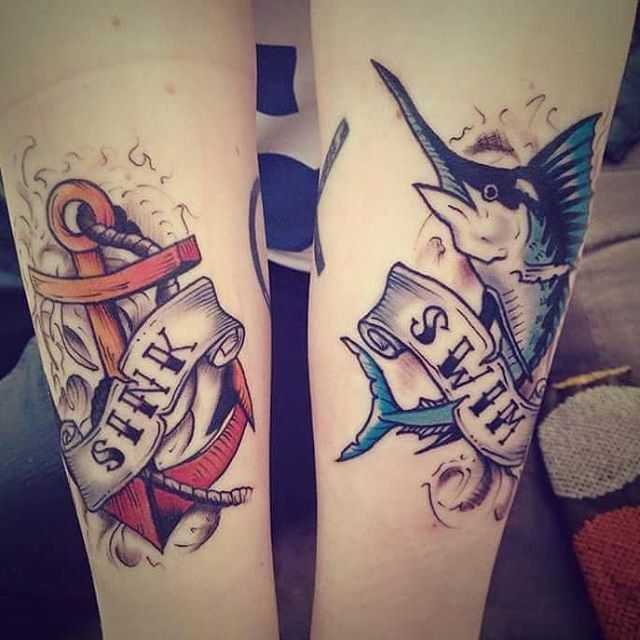 Also, they are often symbols representing ancient god’s ocean and marine tradition, or the traveler has traveled the Mediterranean Sea. 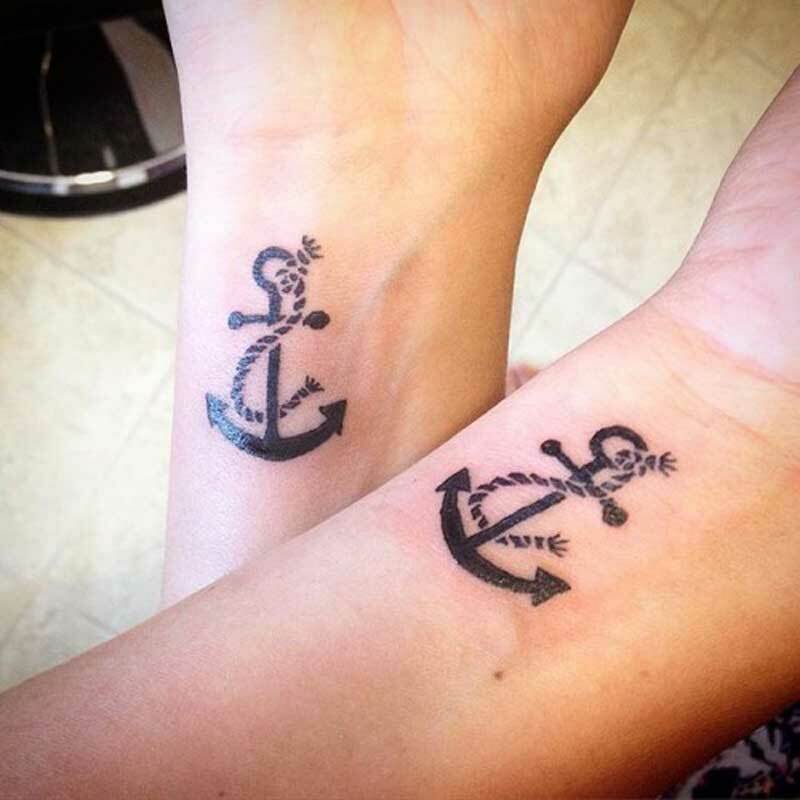 Today many young sailors have a tattoo of an anchor after the first crossing of the Atlantic by way of gallons demonstrate their sailing experience are made. 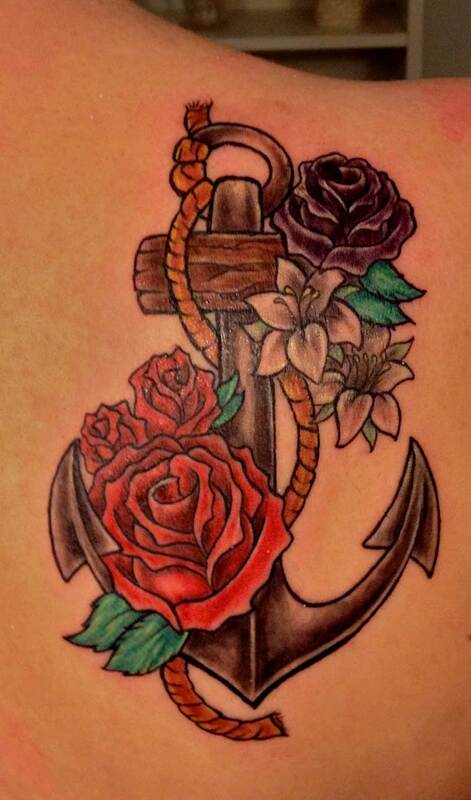 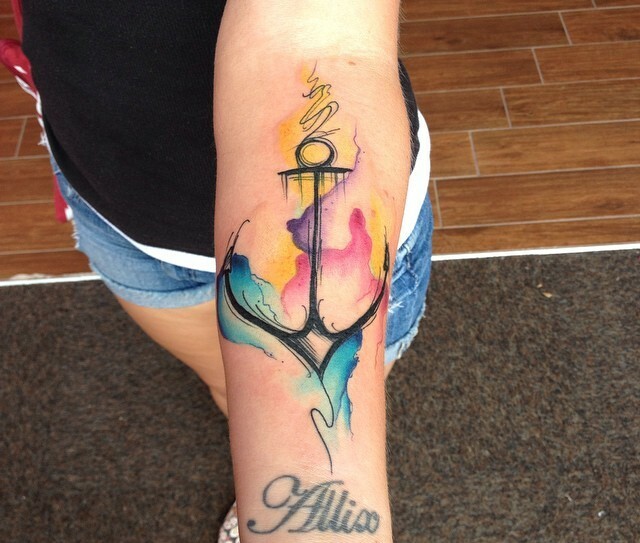 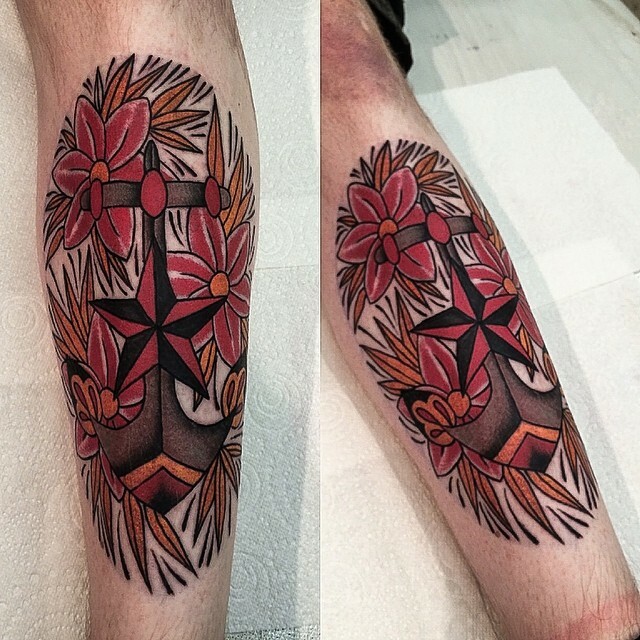 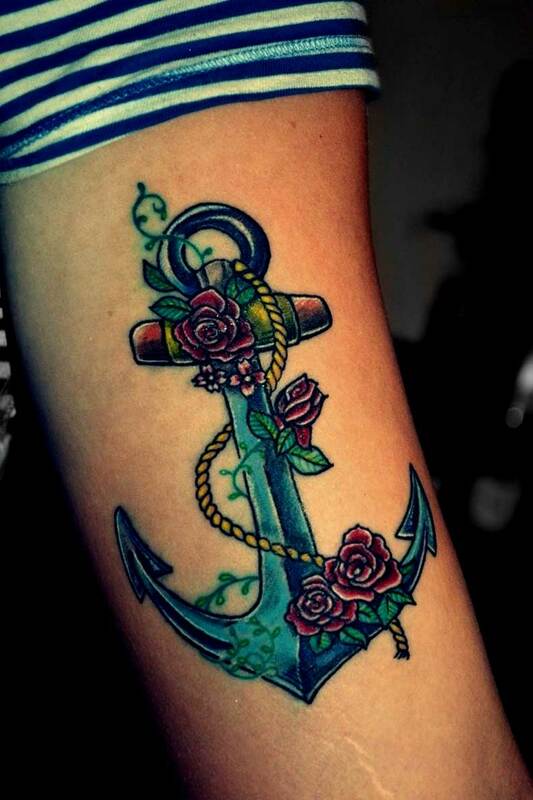 There are many variations of anchor tattoos; simple, complex, with ropes, 3D, and with other elements that complement. The anchor is a tattoo design that has been an essential reference for Western tattoo culture for over two centuries and therefore cannot ignore its romantic component. 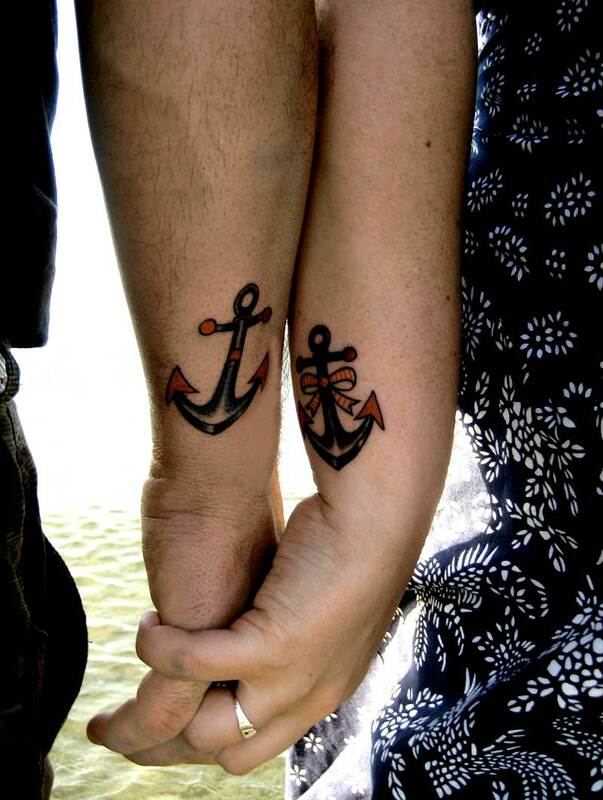 This romantic aura is one of the reasons that has made has always been in place and today despite the passage of time. 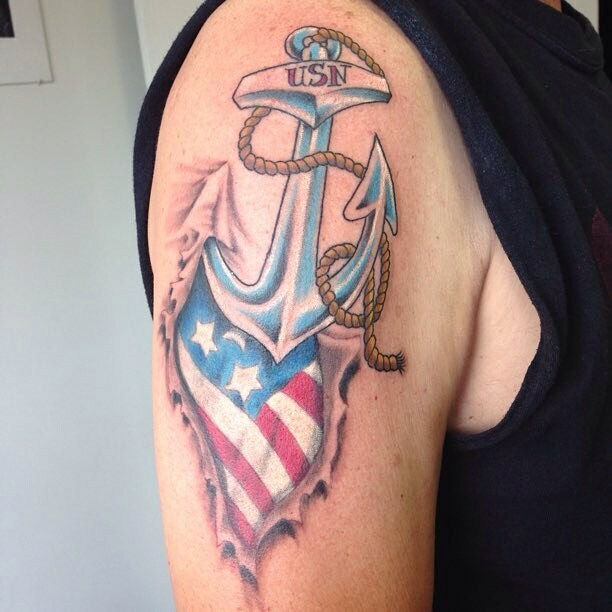 The anchor is an element that is often incorporated into other designs and is a central theme of the design of many tattoos related to military service, especially among sailors, marines, and naval aviators. 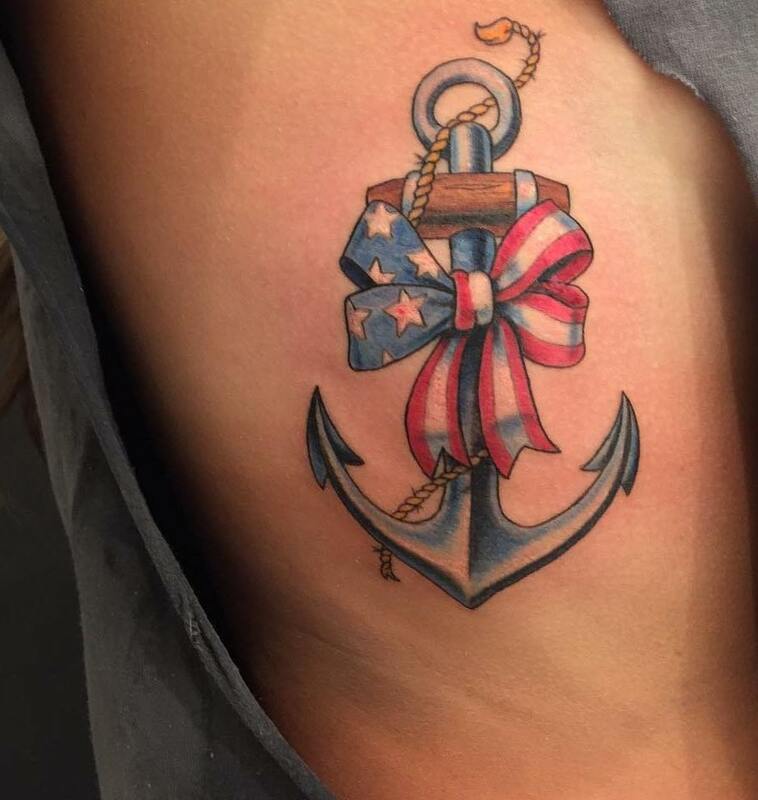 Other design elements commonly found along the anchor are sailboats, mermaids, and other nautical symbols as a lifeguard, ropes, knots, or the name of the vessel in which the sailor has served, and even the name of a loved one or the country or place of birth of the bearer of the tattoo. 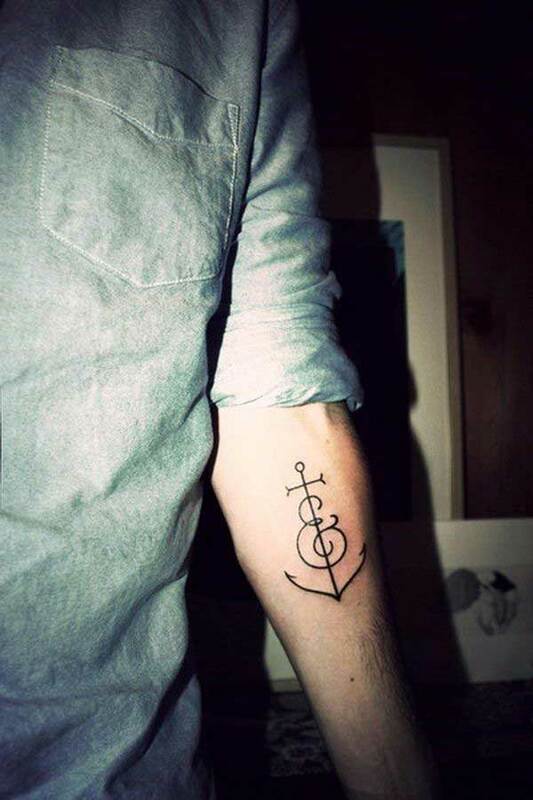 This will greatly expand the significant implications of this classic motif. 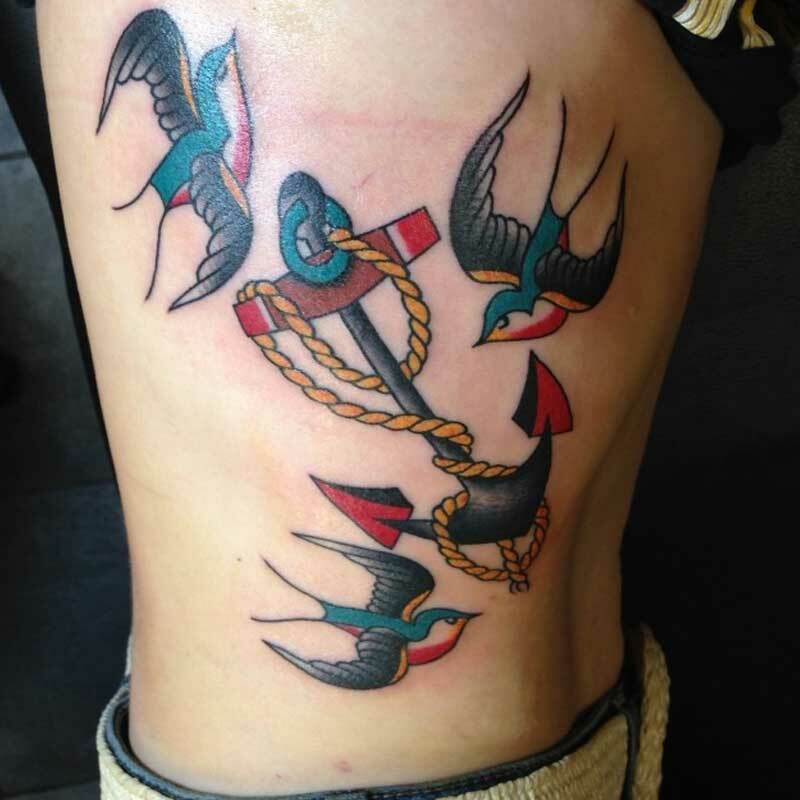 A classic example is the combination tattoo anchor with the bird. 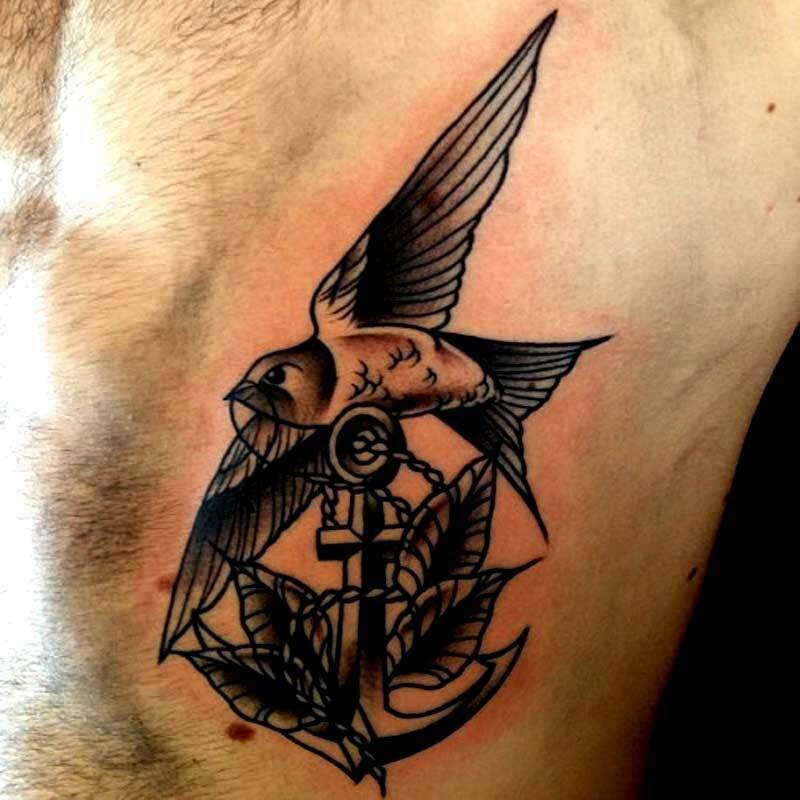 The anchor symbolizes as we have seen stability, firmness while the bird is a symbol of speed and quickness. 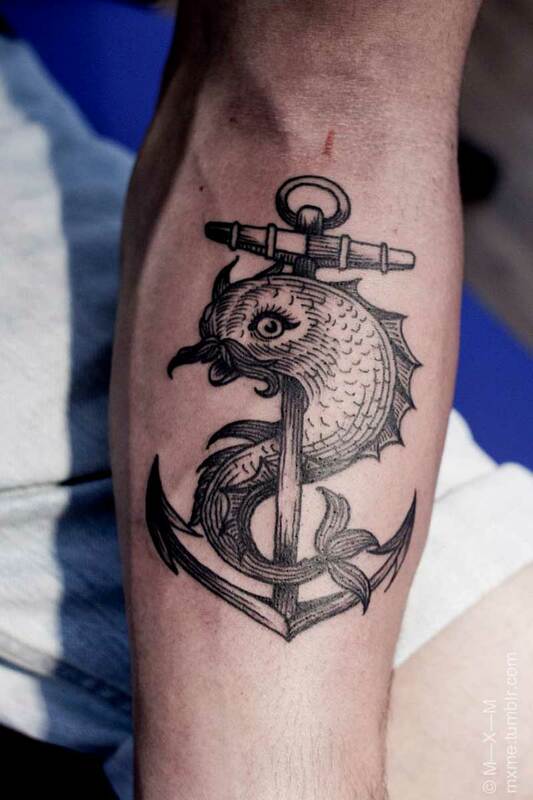 Also, the early Christians used the anchor combination with the dolphin as a symbol of Christ on the cross. 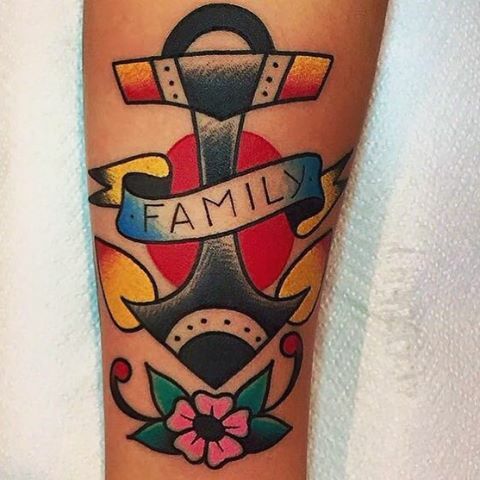 Due to the fashion designs of tattoos of anchors shown countless variations, with anchors of larger or smaller, more or less elaborate, or accompanied by other elements as mentioned before today are very common even among people whose life has nothing to do with the sea world but if they identify with their meaning. 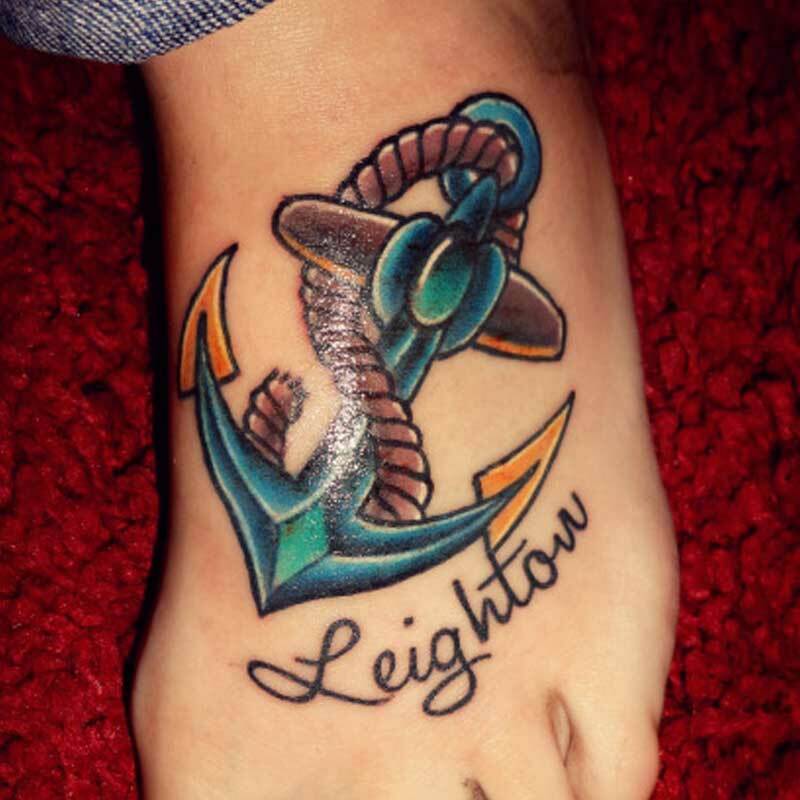 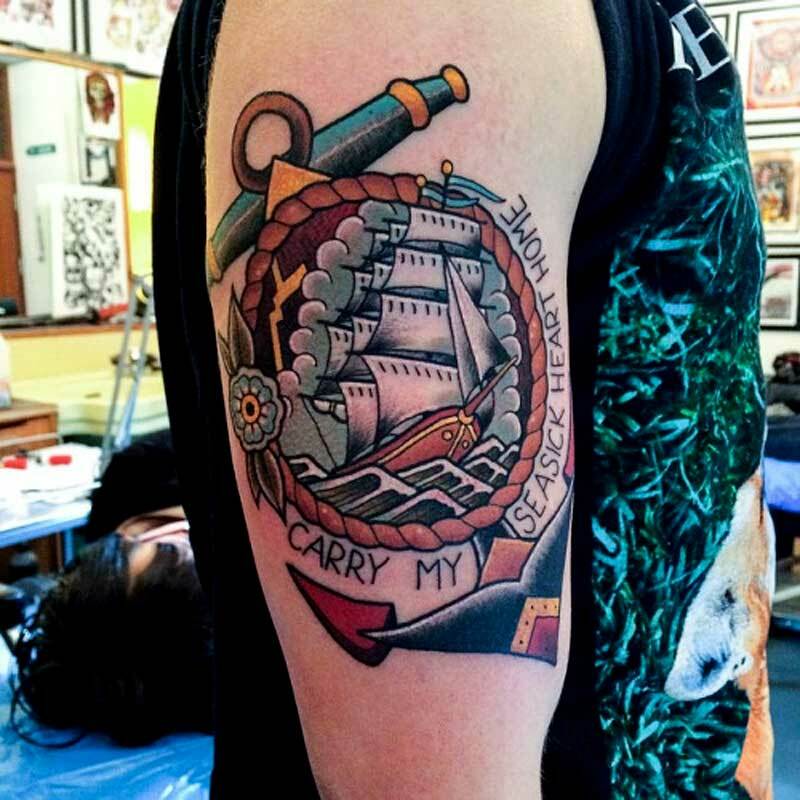 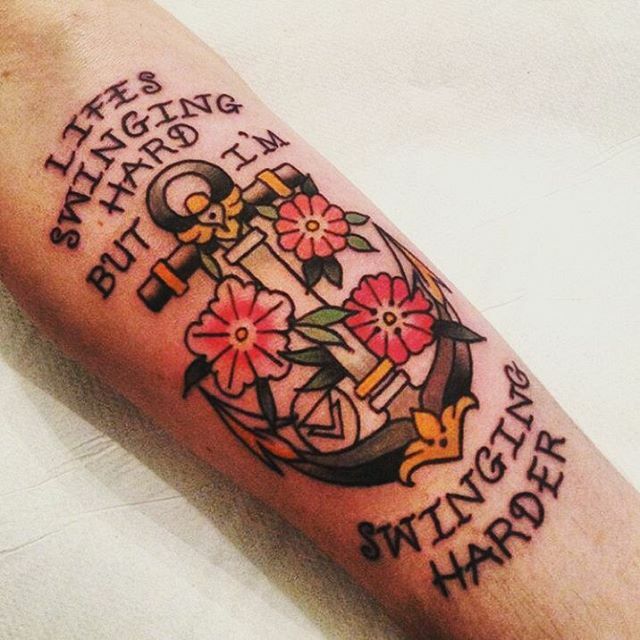 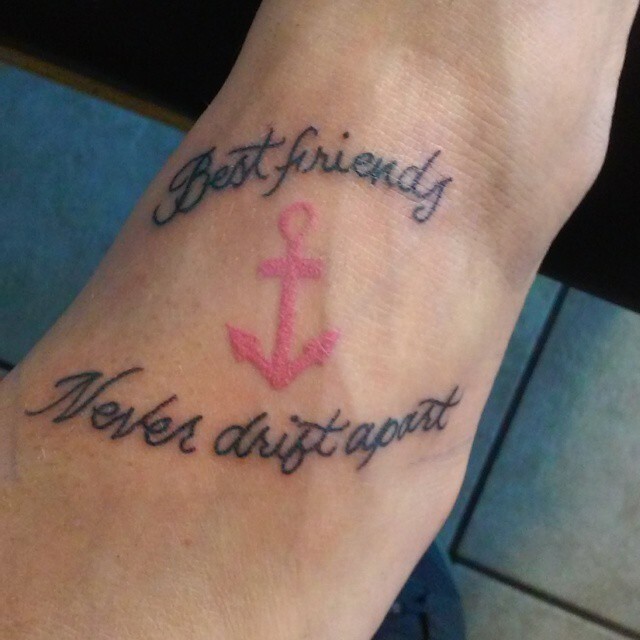 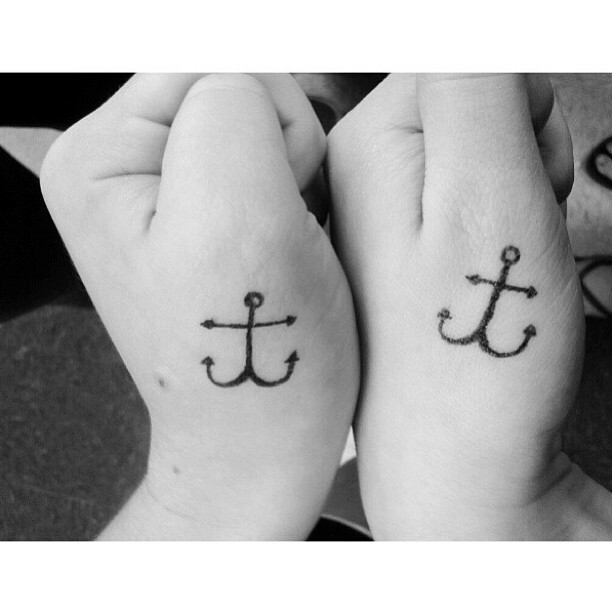 Anchors are witness to the hope and confidence that the sailor is at sea in his ship, their loved ones, or anything to which he feels emotionally subject and translates the same meaning in tattoos. 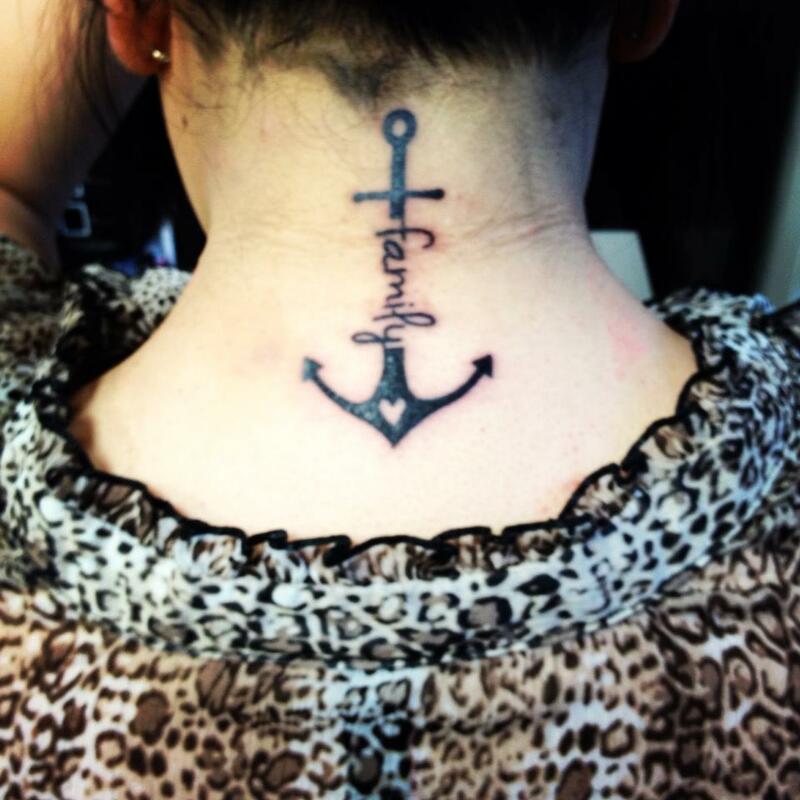 A tattoo of an anchor treasures many meanings are positive, such as firmness, safety, security, and is primarily a symbol of good luck.